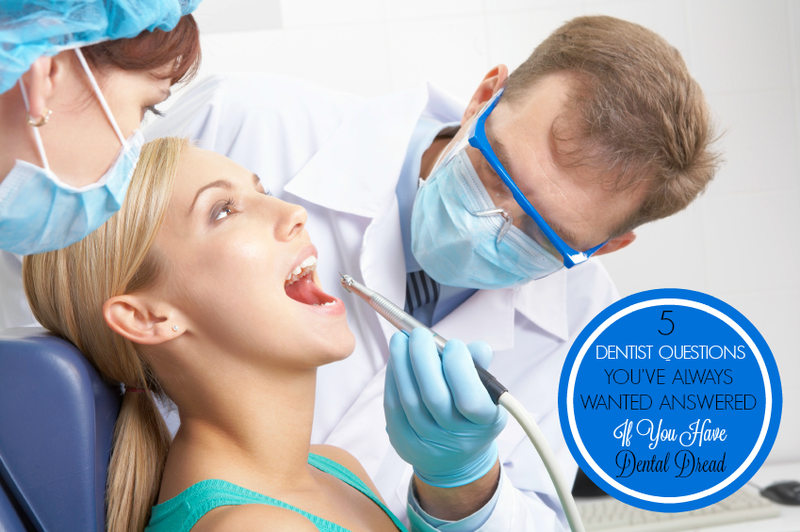 5 Questions You’ve Always Wanted Your Dentist to Answer. You all know that going to the dentist is one of my least favorite things to do, I’ve shared my experience at the dentist and my tips on how you can conquer dental dread. But, those are just my tips on how I handle things. Haven’t you ever wanted to hear it straight from the horse’s mouth? I had the opportunity to interview Dr. Klein and ask him all about dental dread, anxiety, dental freezing and more! Now you can rest easy and be prepared for your next dentist appointment and also asked for dental marketing help. With over 50% of Canadians suffering from dental dread, it’s good to know that we have options and shouldn’t be afraid of asking questions. 1. What advice can you give patients that have dental dread and anxiety? While a number of my patients experience dental dread, our team responds to the individual needs of our patients, ensuring that patient values always guide our expert advice and clinical decisions. Wear sunglasses to help you relax. Try meditation techniques such as relaxed breathing during your appointment. Take ear buds to each appointment and listen to your favourite music or podcast. Have a frank discussion with your dentist to address any dental dread you might experience prior to each appointment. 2. How long does it take for dental freezing to wear off? Common routine dental procedures including cavity and crown preparations, veneers and periodontal scaling require soft tissue anesthesia which can lead to embarrassing side effects from being numb. These effects typically last up to 2.5 hours. 3. What are some relaxation tips do you have that patients can do before arriving? Ensure you visit dental services Toronto regularly before your teeth, gums or mouth begins to feel painful. If you’re dreading a visit, be sure to talk to your dentist. There are many options available to make your visit more enjoyable before, during and after. 4. Do new patients have the chance to meet the team and the hygienists before getting procedures done? A trusted dentist who is committed to providing patient-centric care is vital to leading a healthy lifestyle – always talk to your dentist and don’t feel embarrassed to ask for a tour or to meet a new team. 5. What do you recommend to minimize dental freezing times? New solutions have recently come to market which help patients reduce dental freezing time, including Septodont, which is actually manufactured right here in Canada. There you have it folks, these are all great tips and insight coming from a professional! One of the things that excites me most is that we have options. There are ways to calm ourselves down even before we have a procedure done. Also, being able to reduce lingering soft-tissue anesthesia after the procedure is already winning to me. With support and following these tips, you can definitely fight dental dread and anxiety. Do you have any tips to add to help others conquer dental dread? Previous Post: « PLAYMOBIL NEW City Action Cleaning Themed Toys! Honestly, my dentist could give me anything in the world and I would still be terrified to go see him. Nothing could help me get over that feeling. Aww, maybe these will help! I have got to get myself into the dentist. Unfortunately my insurance is not the best and I need a lot of work done in my mouth. These are some great tips from the dentist with some wonderful information to keep people at ease. Thanks Jeanette, hope you can get that taken care of. Hope these tips help you too. I have no tips to offer. Dental dread is still a huge part of my life, unfortunately. I HATE going, so I should actually be thanking you for these tips. My pleasure, I am glad they will be able to help you. Yes, the ear buds would definitely help calm your nerves. Dental Dread is what I have big time. Just took hubby to have a tooth pulled today – he hates it worse than me – and I almost passed out just hearing what they were going to do. Oh no! Hope these tips can help you! Who isn't just a teensy weensy afraid of going to the dentist? The advice about relaxation techniques before the patient arrives are particularly helpful. Glad they help, I have to agree. Hehe, I am not a fan too! Septodent sounds like a great option for me. I hate the frozen feeling after the Dentist. Me too! It lasts so long too. I always dread going to the dentist. I will have to look into trying the Septodent. Always great to ask your dentist! Oh man, my life would have been such a mess if I was afraid of the dentist. I've had $70k of dental work done! I could actually sleep in that chair! But this is great info for people who are having anxiety over it. Oh wow, that is a lot! 🙂 Glad it is okay for you! I'm glad you wrote this post. I use to hate going to the dentist. I now don't have much of a fear as I use to. I think my problem was that I didn't go as often as I should have…but now that I go once a year it's really not bad. Definitely, the more you go the less problems you may have. oh the dreaded dentist! I just try to get into a happy zone/place. Basically I do a lot of daydreaming/thinking when I am there. But i love the idea of bringing ear buds with me to listen to my fav tunes. that would totally help! I agree, that is a great idea! I had a bad experience as a young adult at the dentist which lead to a bad infection due to piece of tooth being left inside,it was so painful .Thankfully i found a nice young dentist and its actually not a dread anymore.Those are all great tips i will pass on to my friend who fears the Dentist. I am glad it is not an issue for you anymore. Thanks for passing it along! some great question with great answers! Thanks Laurie, hope it helps. I wish I could say the same. I hate going to the dentist! Maybe if my dentist had all those things . . .
Wow, now that is a dentist office! Yeah, I am no fan either! I don't have dental dread but I know so many people who do. Thanks for sharing these tips and information. I'm definitely someone that does not like going to the dentist. I actually am due for a checkup and I'm totally dreading it! It's nice to hear there are so many options to help patients these days. I am due too and I am not looking forward to it too! I have TMD so dentist dread is definitely part of my life. These are great tips and the ear bud tip isn't one I actually thought of so I will try that during my next appointment. Me and dentists dont see tooth to tooth simply because I really cant hack it lol but i do go for my check-ups. I've always looked forward to going to the dentist (am I strange?)! This is a great resource for those who don't feel the same way I do. WOW, that is great, I am glad that you are able to go now. I know a few people who are afraid of the dentist. I will be sharing your tips with them. Septodent sounds like a great option for myself as I always dread going to the dentist!! Helps with the freezing, I hate that feeling! I like the idea of wearing sunglasses! I just had my wisdom teeth removed last month. I usually don't get nervous about the dentist but that was nerve wracking! OMG, I am with you on that!